Here’s a piece of good news for all you Winamp fans out here, your favorite music player will live on thanks to Radionomy. As rumored earlier this year, AOL has sold Winamp to Radionomy, an international aggregator of online radio stations, along with Shoutcast, a radio online directory that has over 50,000 catalogs of radio stations. The actual amount spent by Radionomy has not been unveiled but TechCrunch believes that it is a cash and share deal worth between USD%5 million and USD$10 million, with AOL taking 12% stake of Radionomy in the process. So what does this mean for Radionomy? With the acquisition of Shoutcast, Radionomy is now one of the biggest players in the radio streaming business with about 60,000 radio sations. The company will still offer Winamp media player as it is today, but with access to all of its radio stations, the ability to playback 60 audio and video formats, 6,000 add-ons and availability in 16 languages. Although Winamp has been left idle for years now, to date, Winamp still sees about 3 million downloads every month so Radionomy has big plans for its future along. The company says that they plan to rebuild the story for Winamp and bring it to more platforms, “not just desktop but mobile and cars and so much more”. 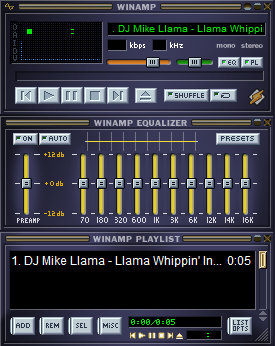 With all the Winamp hype since AOL announced that they would kill it off by 20 December 2013, how many of you have actually started using it again?